A coat is a piece you’ll be likely to wear everyday for a couple of months so choosing a neutral fabric is always a good idea. Grey, navy, black, camel… these will go with everything and are perfect for a chic and timeless outerwear. And you can always choose a bright lining, topstitching or a contrasting facing to bring a little fun to your coat. Another option is to go for a colourful fabric to brighten up any dark winter day! 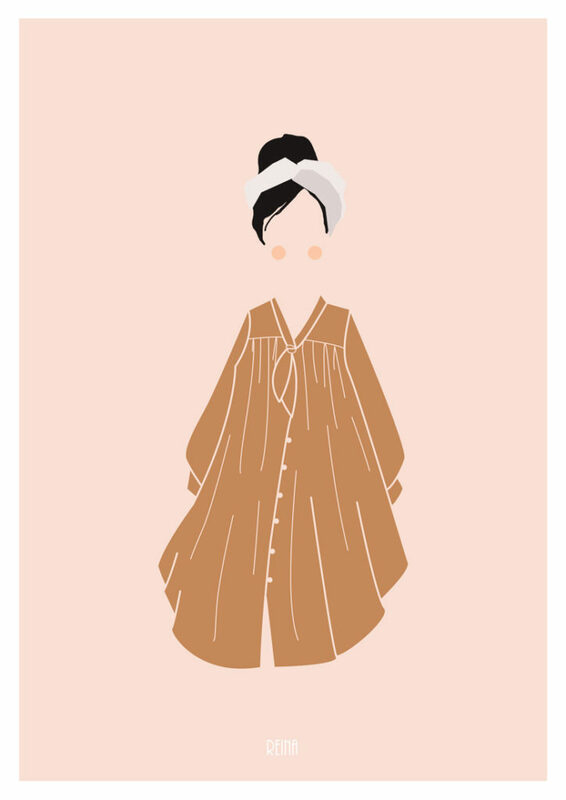 Nothing better to cheer you up than a bubblegum pink or pastel blue coat, am I right? 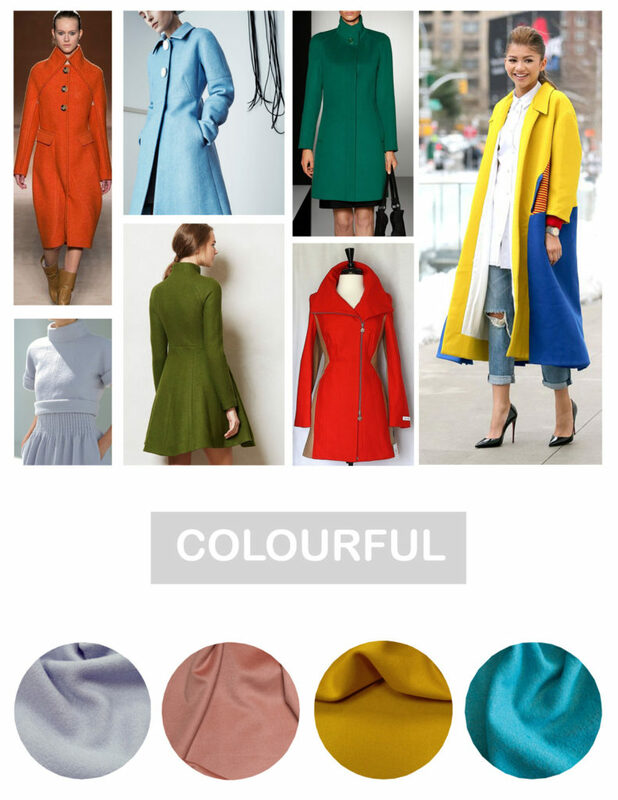 Personally, that’s how I like my outerwear: with a pop of colour! 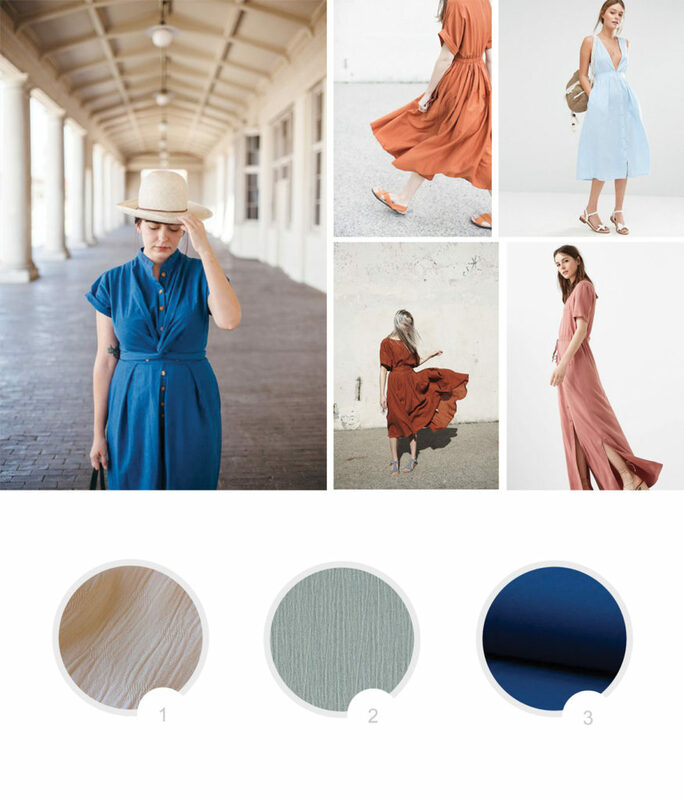 You can also play with the style lines and choose a colorblock look (one neutral fabric and another one more saturated). 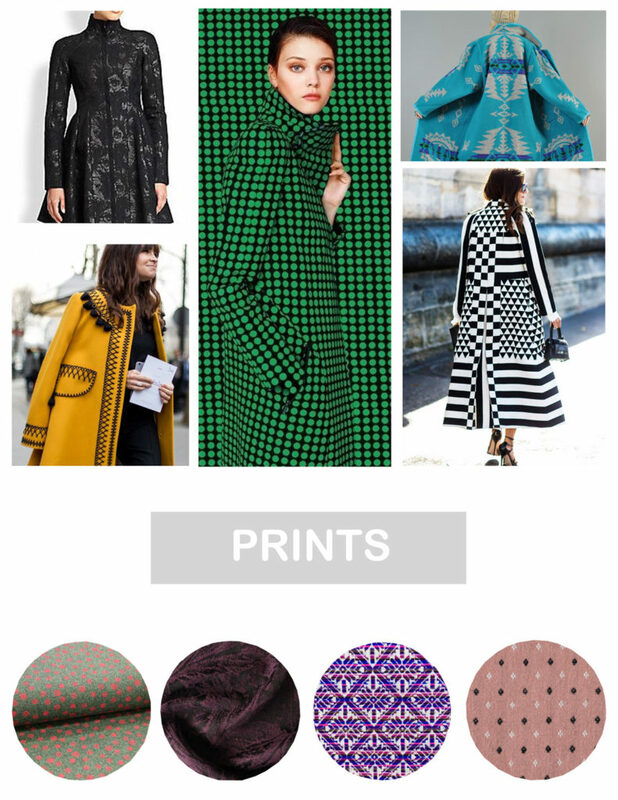 For the ones who love a one-of-a-kind look, why not choose a graphic fabric? Polka dots or animal prints will be easy to match, whereas a plaid will be more difficult but oh-so-pretty. 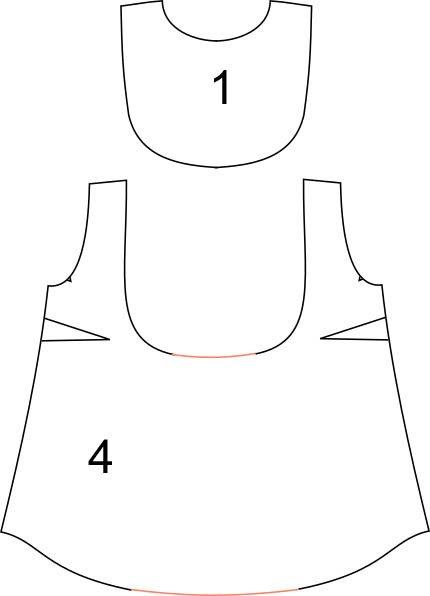 You could also use trimmings on the collar, sleeves, zipper placket or hems or a brocade fabric for a party version. Designing coats may be my favorite activity. I mean I love a great dress but nothing like a coat gives me so much excitement and joy. 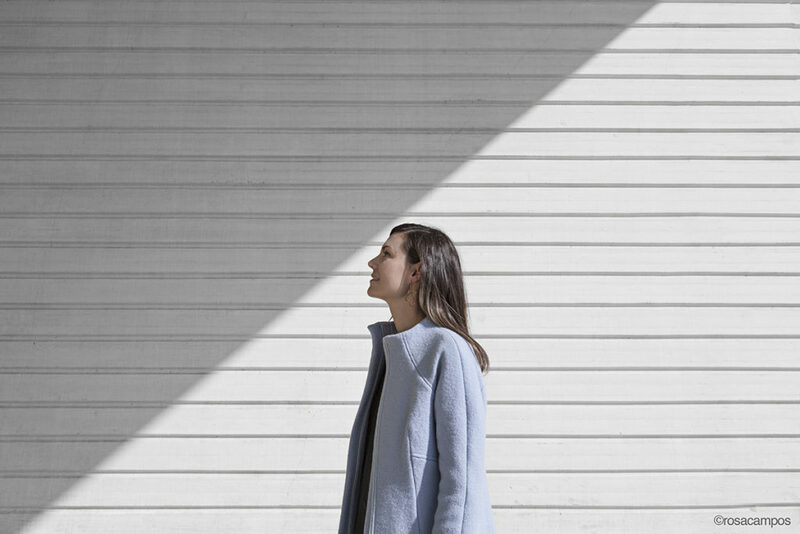 Three years after releasing a coat pattern, I was itching to do design a new outerwear piece. And it’s with mix of happiness and thrill that I’m presenting the Hemisfèric Coat pattern! 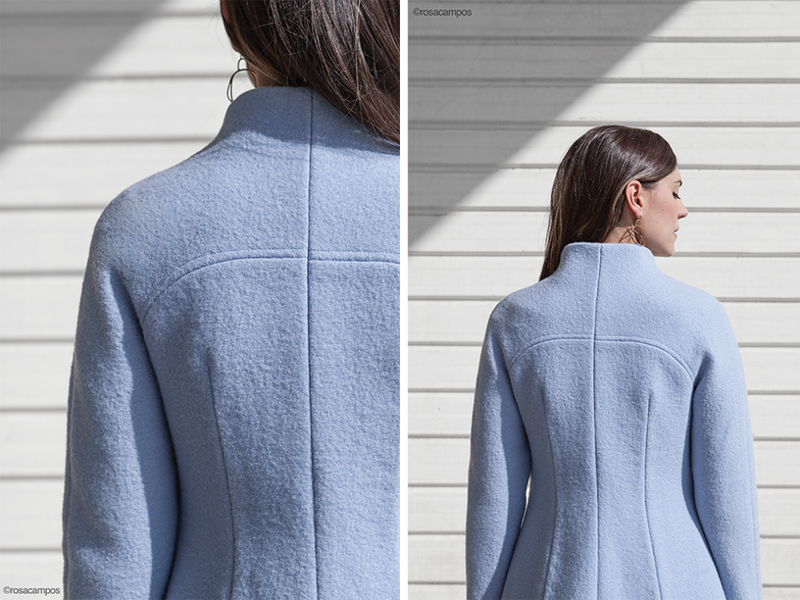 In the Hemisfèric coat pattern, you’ll find a classic fit and flare silhouette mixed with very contemporary details such as the two-piece raglan sleeves or hidden front zipper closure. Hemsifèric features a classic shape with strong construction lines: waist darts in the front with shaped side panel, back darts and shaped raglan sleeves… The short funnel collar will keep you warm and stylish. There are inseam pockets and the coat ends at mid-thigh. As for a modern touch, how about a front zipper, hidden by a central placket? This coat is great to play with topstitching, as I’ve done with the presentation model. That’s the perfect way to highlight the construction details. As the coat is fully lined, it will look as good from inside as it does out. 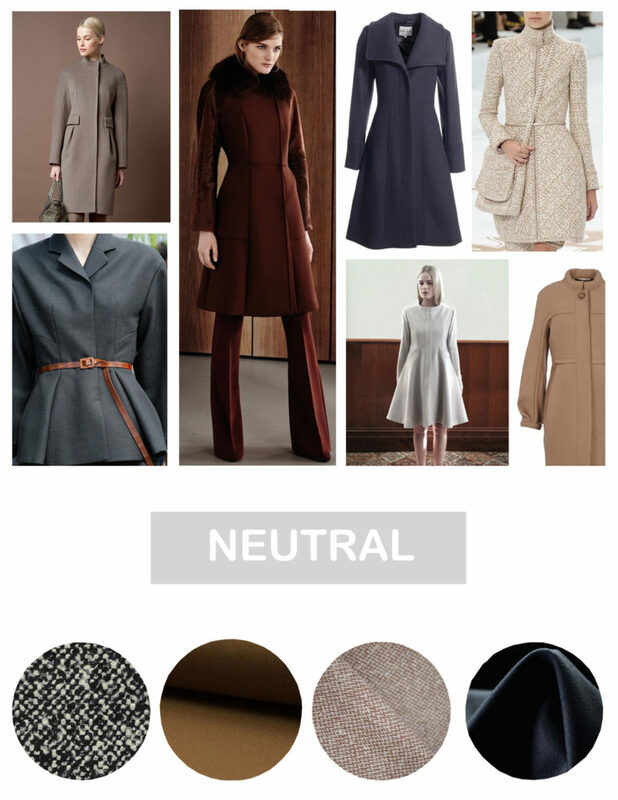 As for fabric, I recommend using medium to heavy wool fabric to keep the coat structured. 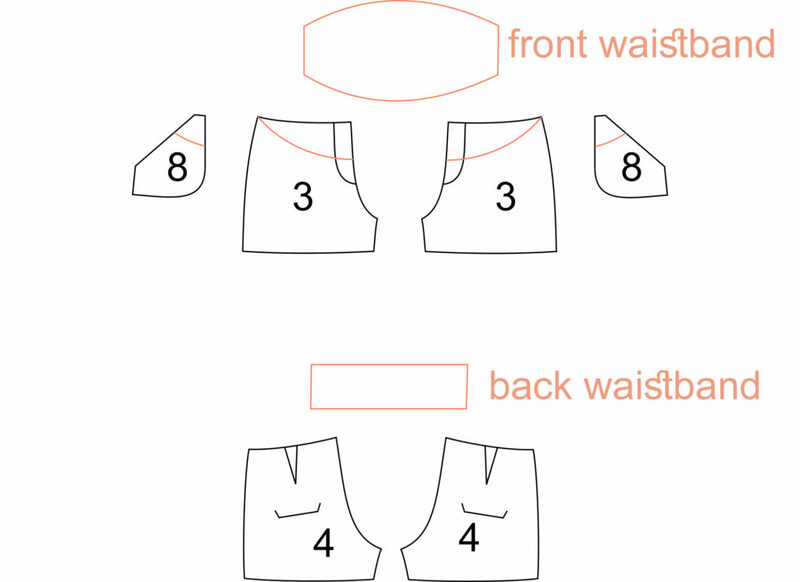 You want the raglan sleeves to keep their shape at shoulders and the skirt part to stay flare. Here’s a few examples of wool fabric you should look for: felt, boiled wool, Melton, tweed… The great thing with wool is that it loves being shaped with heat and steam. If you don’t want to use wool, another option is medium to heavy weight wovens such as gabardine, brocade or twill. Whether you choose a bright or neutral main fabric, a colorful lining is always a great idea: choose silk or Bemberg for a luxurious feel, or flannel for extra warmth. And make sure you don’t skip interfacing! For this coat, I recommend using fusible weft interfacing. It will keep your fabric’s drape while giving it structure. I’m so happy to introduce my very first book! 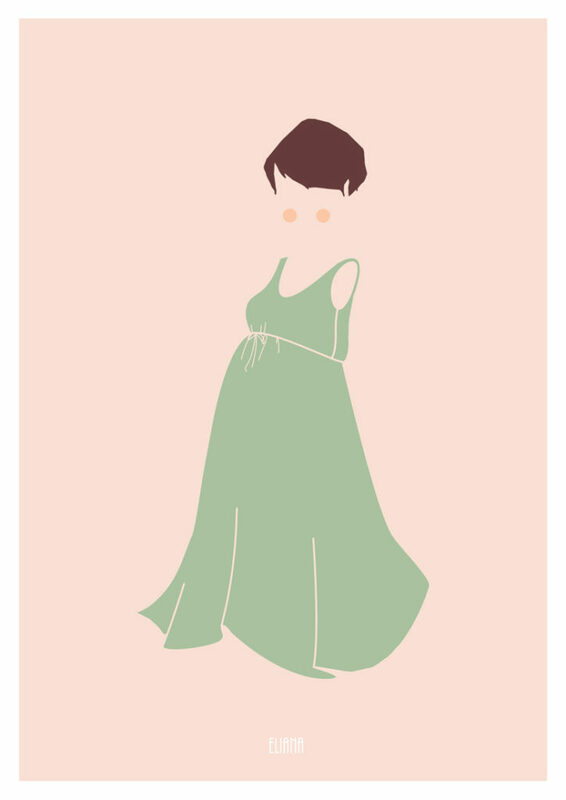 Available only in French (for the moment) Ma garde robe chic et intemporelle has been many months in the making. When Mango editions asked me if I would consider working on a patterns book at the end of last year, I didn’t hesitate for very long before accepting! 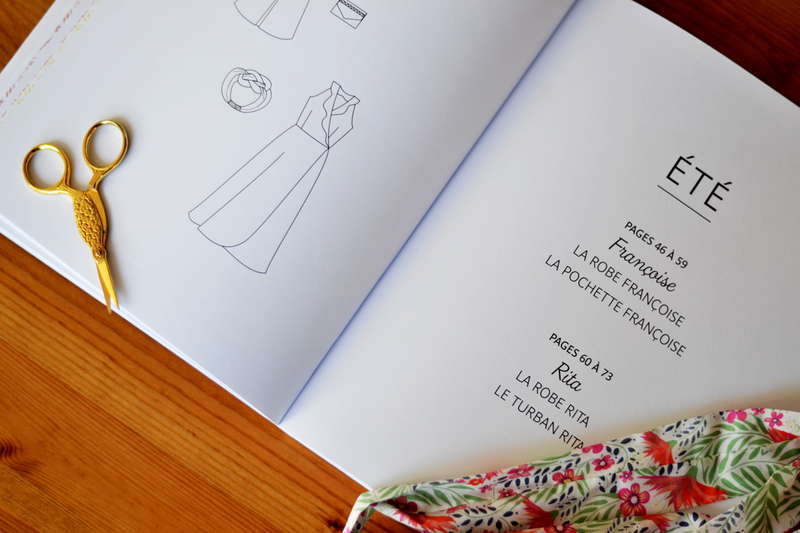 This book will offer “chic and intemporal” patterns for everyday or special occasions. 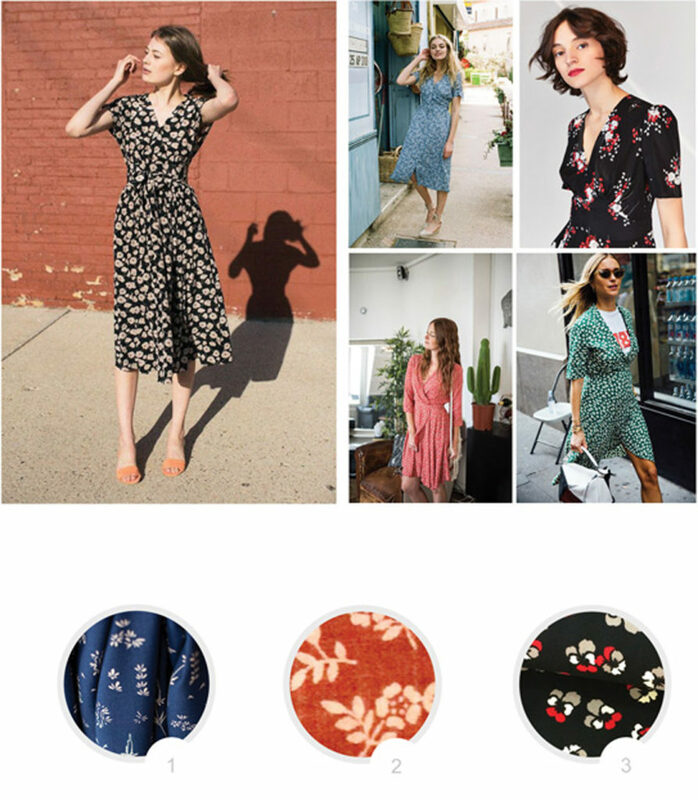 With two complete outfits for each season, with clothing and accessories, and patterns that can be mixed between themselves, you’ll have handmade garments for all year. 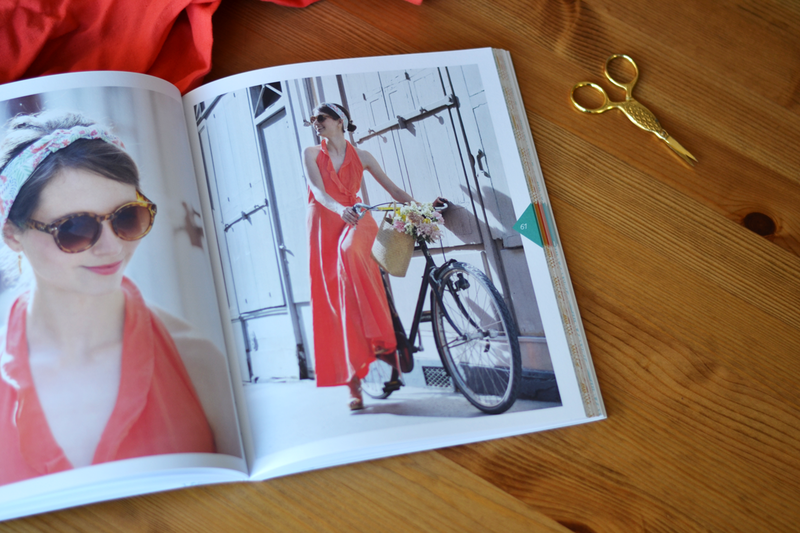 I hope you’ll love the book and the patterns and I can’t wait to see the first outfits made from it! Edit: the sleeves patterns pieces were lacking some marks. 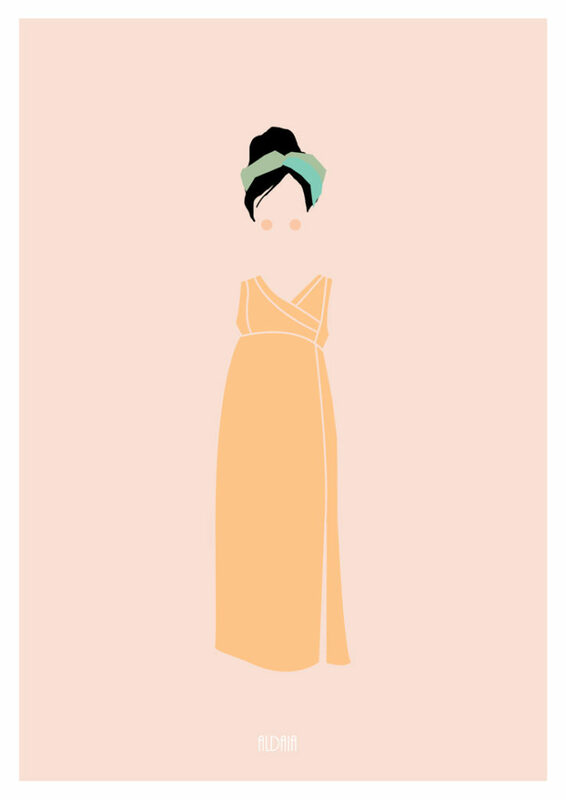 Download the corrected version here: ManchesAudreyMarylinKate sleeves and ManchesTippi sleeves. Stay tuned, a raffle will be organized very soon on the @paulineyalice instagram account to win a book! 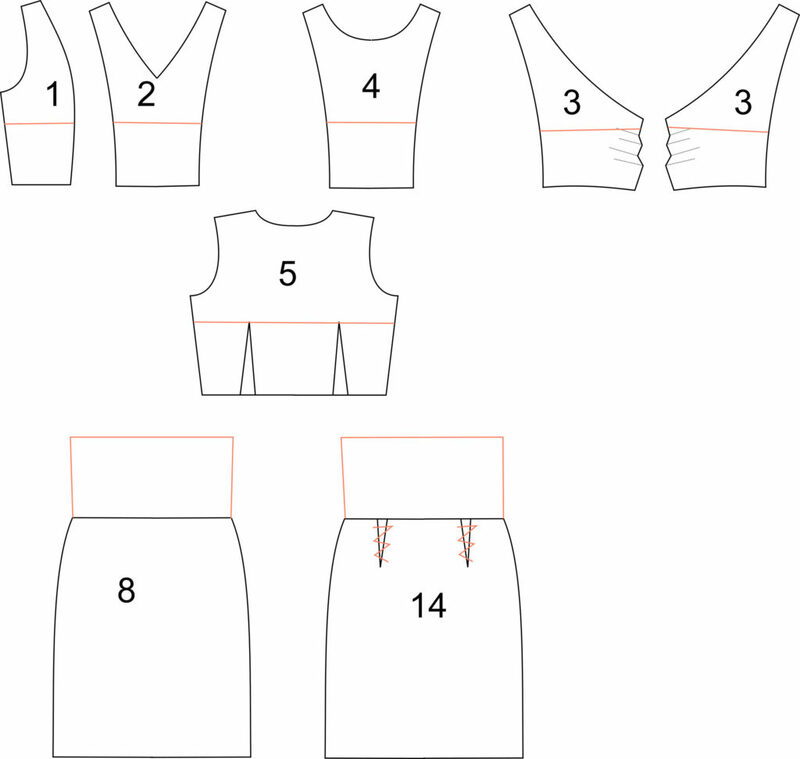 I designed the faura top & dress pattern as an easy to make sewing project, perfect to get back gently into sewing planning after the holidays. It had to be a pattern with simple lines but with some interesting details as well. 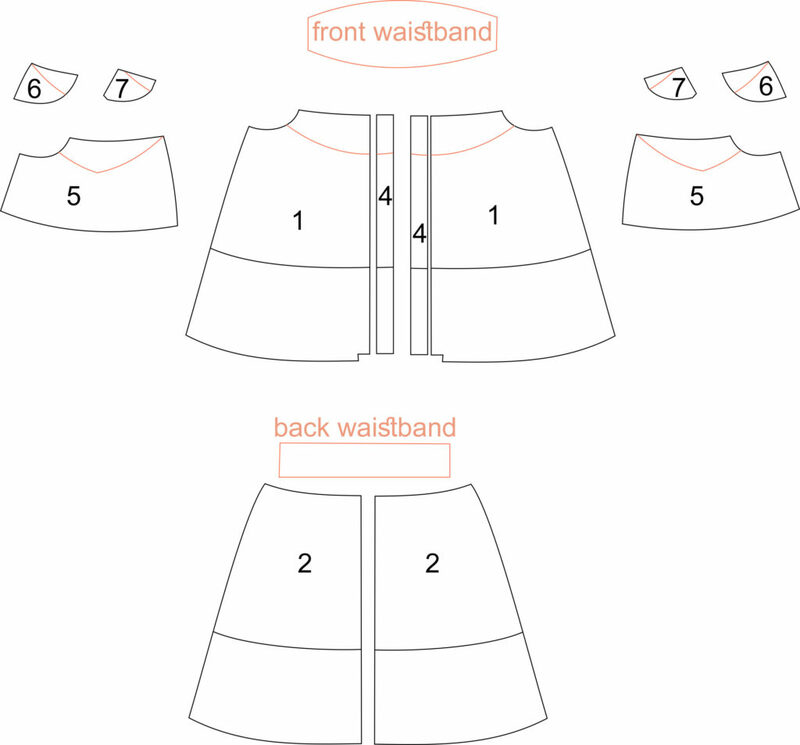 Faura has a princess cut bodice (easy to adjust), small ties to cinch the waist, a flared hem, a keyhole closure at the back and two different versions: short sleeves top or sleeveless dress with pocket. This is such a versatile piece! Wow, there’s already some Fauras showing up on Instagram! Thanks so much for the warm welcome to the new FAURA pattern. So which one is your favourite? Thanks for sharing your beautiful makes with the hashtags #FauraTopDress and #paulinealicepatterns, I love seeing what you’ve been up to! 1/ Unbleached linen from Cousette. 2/ Deep blue chambray from Amandine Cha. 3/ Grey herringbone cotton from Tissustory. 1/ Exotic printed viscose from Henry Henriette. 2/ Viscose Moonstone from Atelier Brunette. 3/ Poplin pink panther from Anna Ka bazaar. 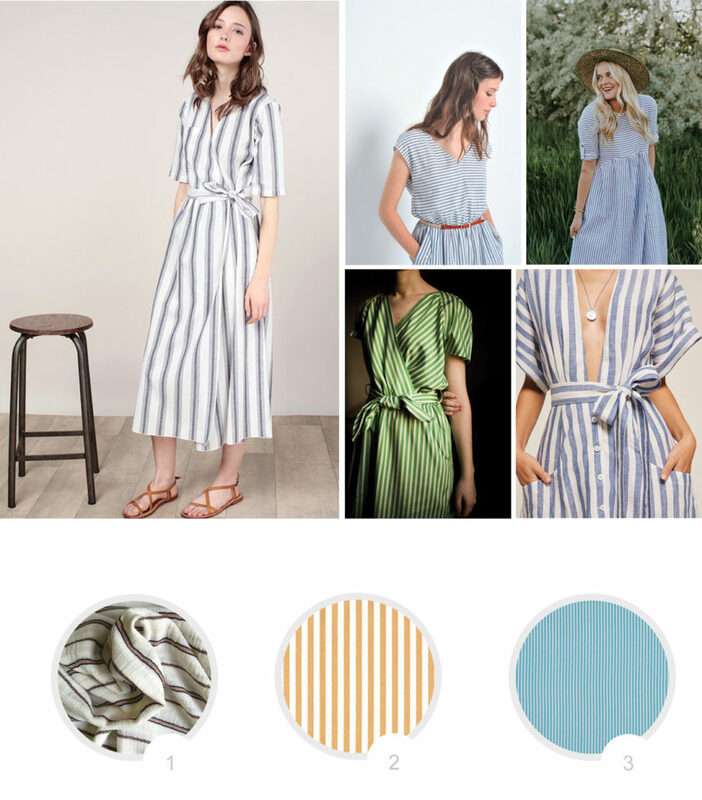 1/ Striped Tencel Madison from Cousette. 2/ Denim Etendard from Amandine Cha. 3/ Denim chambray from Amandine Cha. 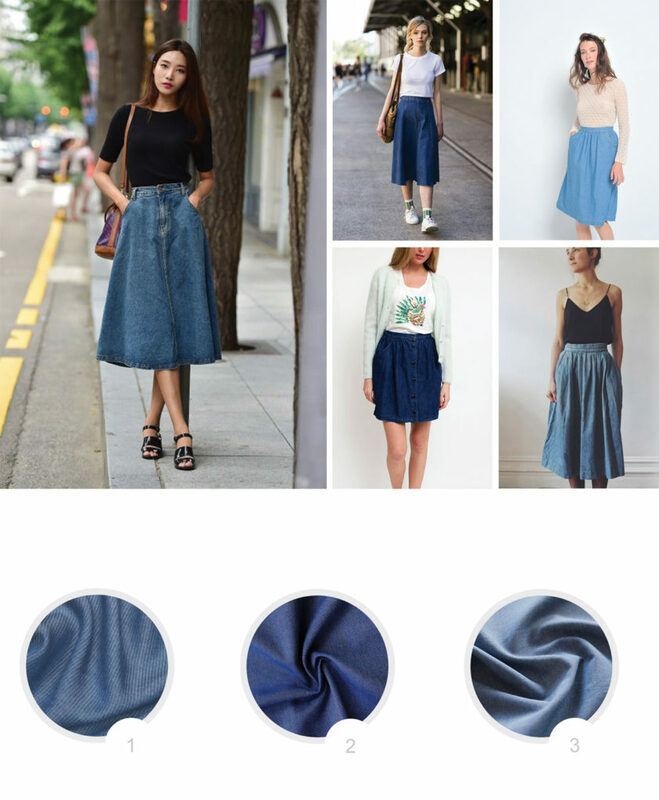 So, I hope these inspirations give you some ideas for your Mirambell skirt. I will show you my fall version very soon! Summer is almost finished but I felt like making it longer just a little bit more. 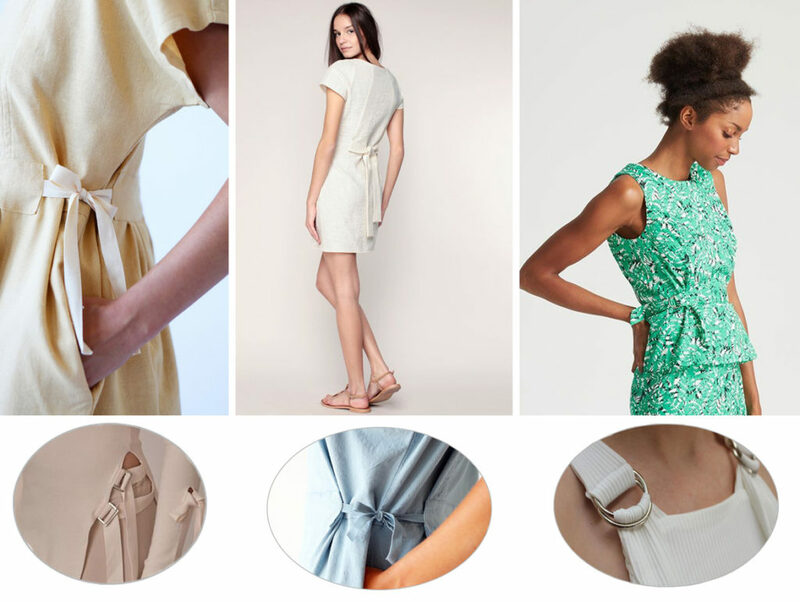 Here are some fabrics inspiration for your Lliria dress: clean, graphic or floral. Lliria is a semi-fitted wrap dress. It has bust darts and soft gathers around the waistband and close with an asymmetrical button closure. This is such an elegant yet easy-going dress. 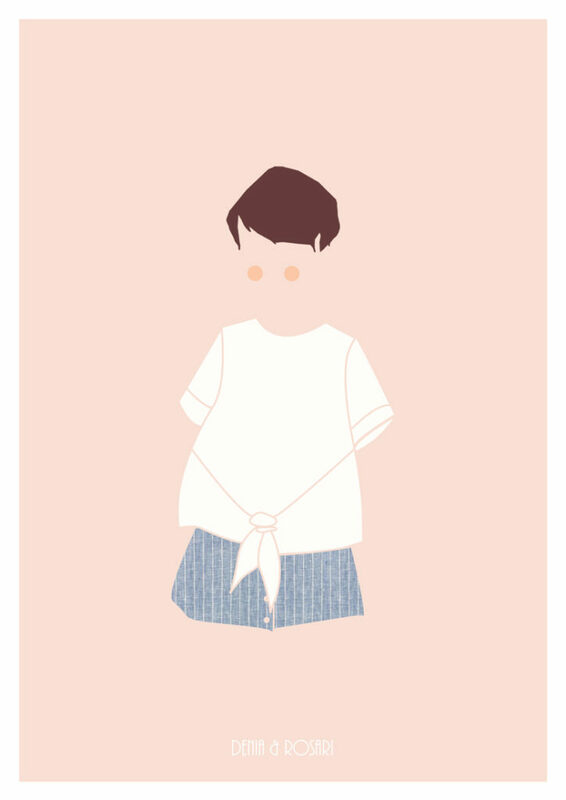 The recommended fabrics are lightweigh such as cotton lawn, rayon, crepe, linen or silk. 1/ Opaline jacquard rayon from cousette. 2/ Cotton grey from cousette. 1/ See You at Six rayon – Herbs – from Rascol. 2/ Red viscose with flowers from Tissu Story. 3/ Black rayon with flowers from Atelier de la Création. 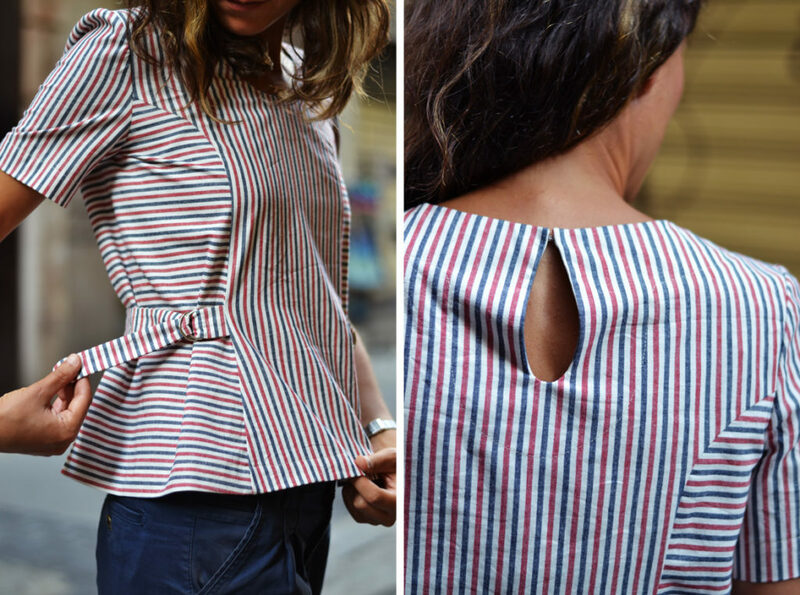 1/ Striped linen from Atelier de la Création. 2/ Yellow/white stripes from Cousette. 3/ Cotton with with and blue stripes from Rascol. I hope summer is treating you well! No holidays for us at the studio… Between the last patterns release and preparing the fall collection, we’re busy busy! As you might have noticed, we had a new model for our summer patterns. 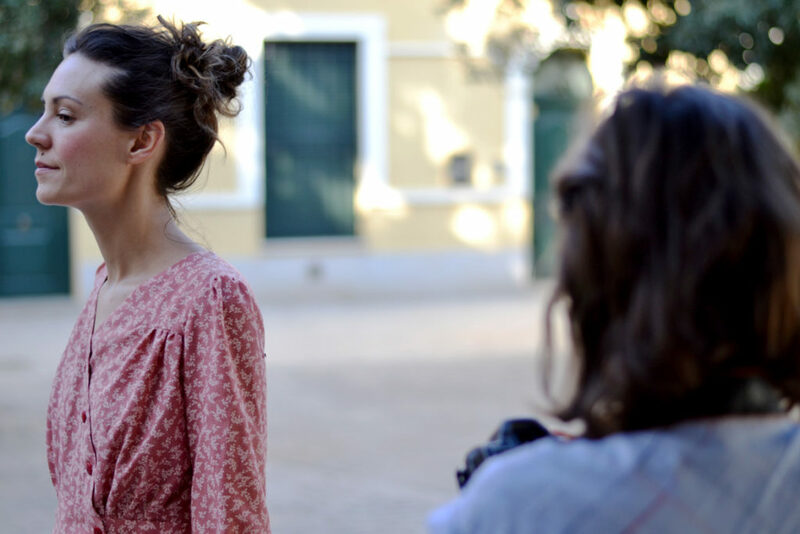 Being pregnant, I wasn’t able to fit into the samples anymore so we asked Bea, who owns the lovely fabric shop/sewing studio Bye Bye Manoni in Valencia, to get in front of the camera. And she looks stunning! Here’s some pictures of our photoshoot, we had a great time shooting the Mirambell skirt and Lliria dress patterns! 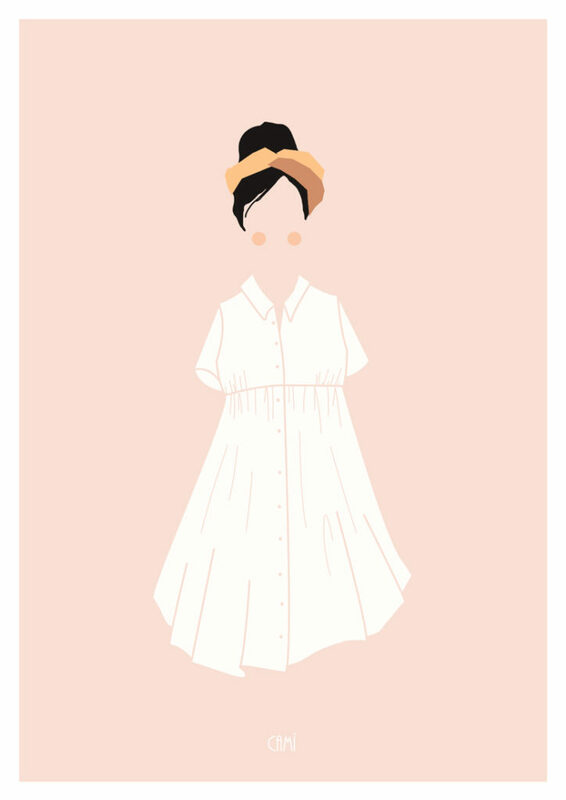 Thanks so much for the lovely welcome you did to our new patterns! We were very excited to release them and it’s always a pleasure (and a relief) to read your positive reactions. 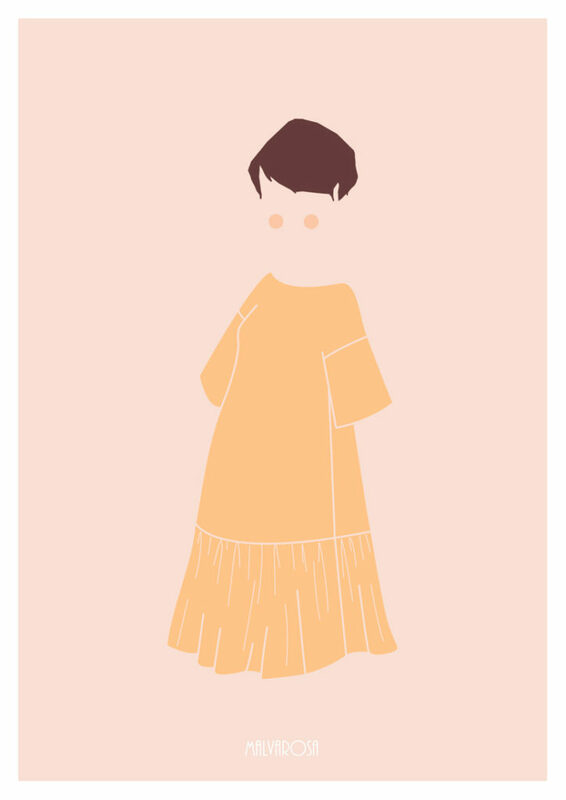 You can find the Mirambell skirt and Lliria dress in both PDF and printed versions on the shop. 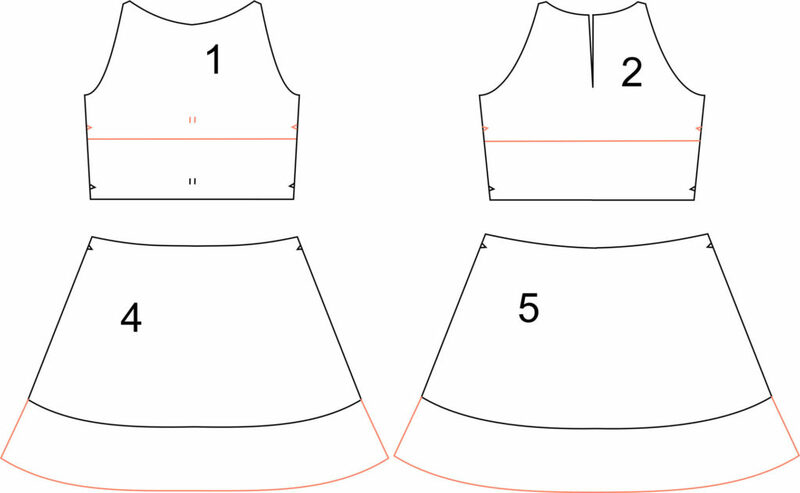 We’ve made a special video tutorial for all of you who need a little extra help to sew the Lliria dress pattern. You’ll find a step-by-step tutorial with extra tips on fabric choice and finishing touches. You’ll find the video on the blog and on our Youtube channel. 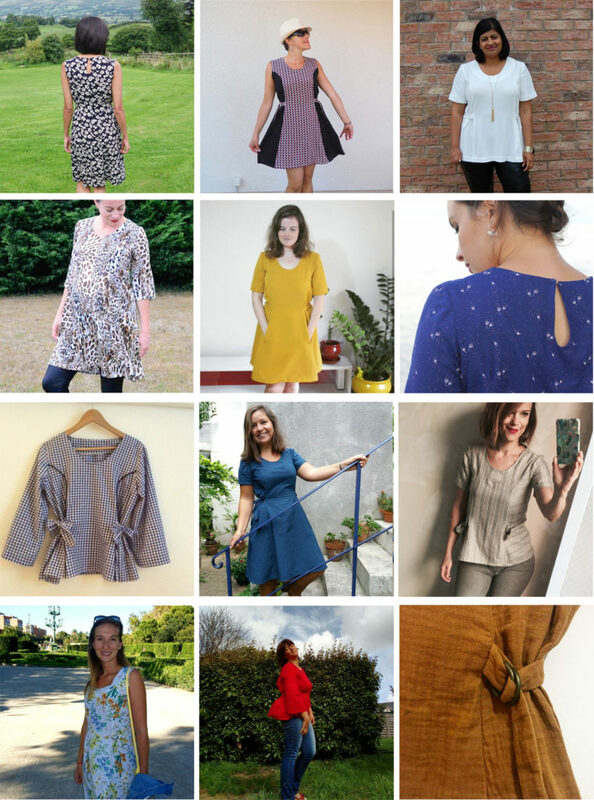 The first testers’ versions of the Mirambell skirt and Lliria dress are published! 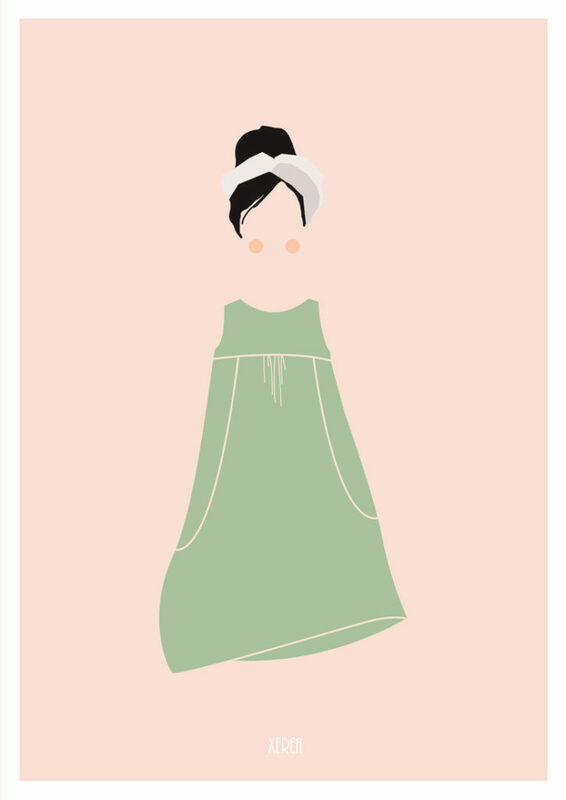 If you need inspiration before making your own, check the lovely versions of Céline, Marie, Sonia, Marie and Beth. I can’t wait to see more finished versions! The studio stays open all summer so we’ll continue to ship your orders as always. If you have any questions, feel free to send us an email at info@paulinealicepatterns.com or leave a comment. June was a busy month with a lot of things to do before the new patterns issu. This is coming out shortly. We were working on tiny surprises which we will be sharing throughout the month of July and which will accompany the new collection. We look forward to show you all this good news! Meanwhile, I hope that you enjoy the last newsletter and have a great summer! 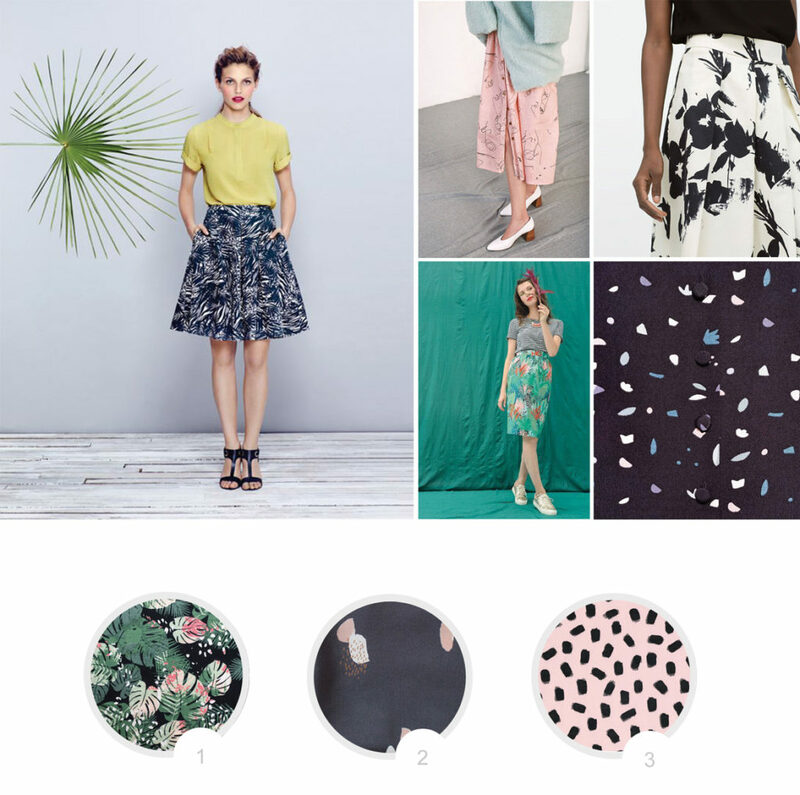 Lauren, the owner of Birmingham-based haberdashery Guthrie & Ghani and finalist of the first “Great British sewing bee”, has made an amazing video with useful tips for the Rosari skirt pattern. 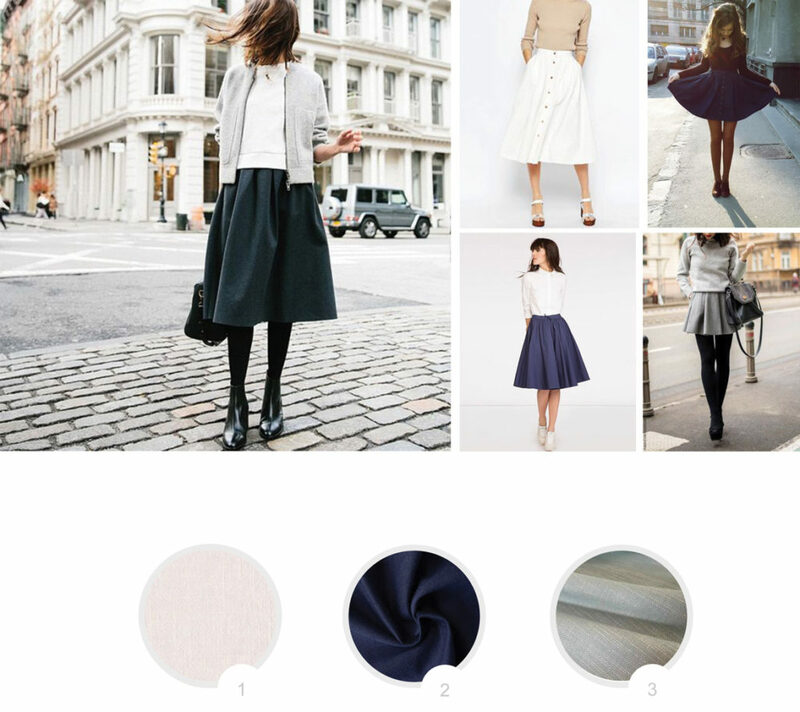 You will find in her post how to adjust the skirt length, tips on placement of the buttons and buttonholes and some styling tips to wear your Rosari skirt all year round. 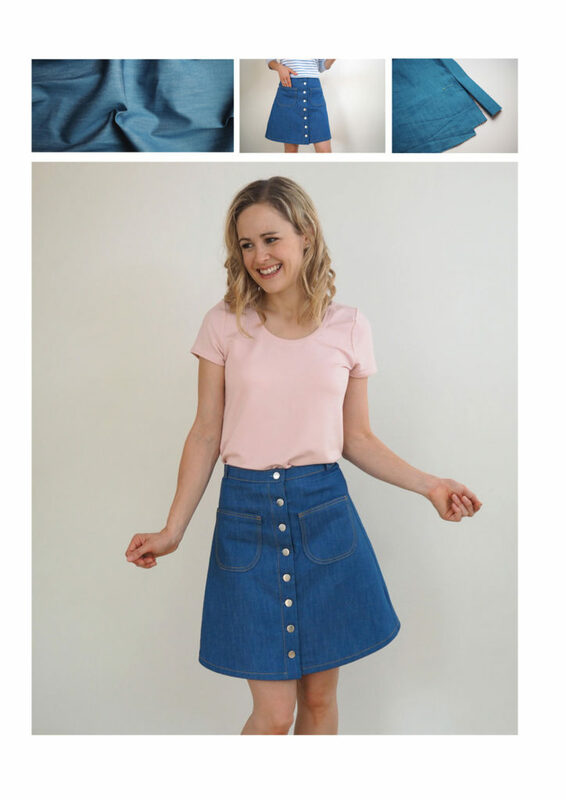 And if you’re looking for a nice sewing kirt with everything you’ll need to sew your Rosari skirt (pattern, denim fabric, thread, buttons…), check Lauren’s own kit! 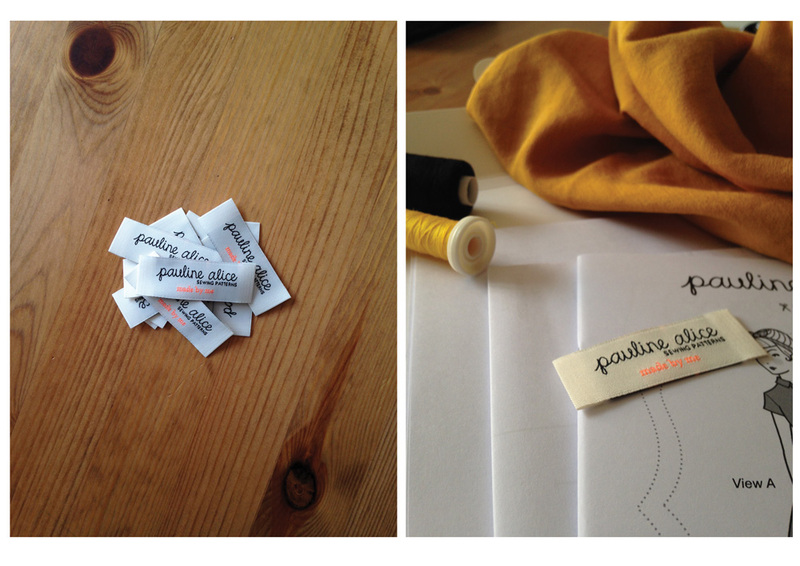 Our woven label are here! 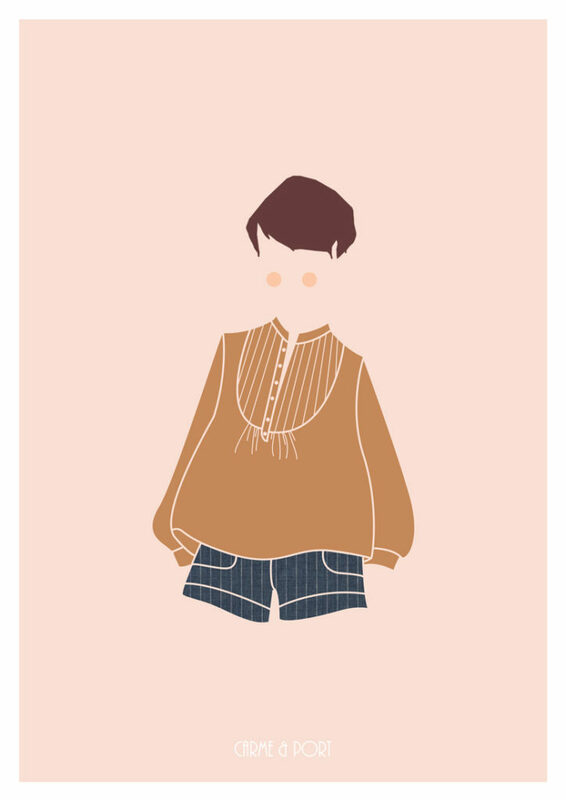 You will find one in each printed pattern copy and will be able to sew it on your Pauline Alice sewing project “made by you”. We are so glad to see your beautiful sewing projects. Here are our favorites for June. 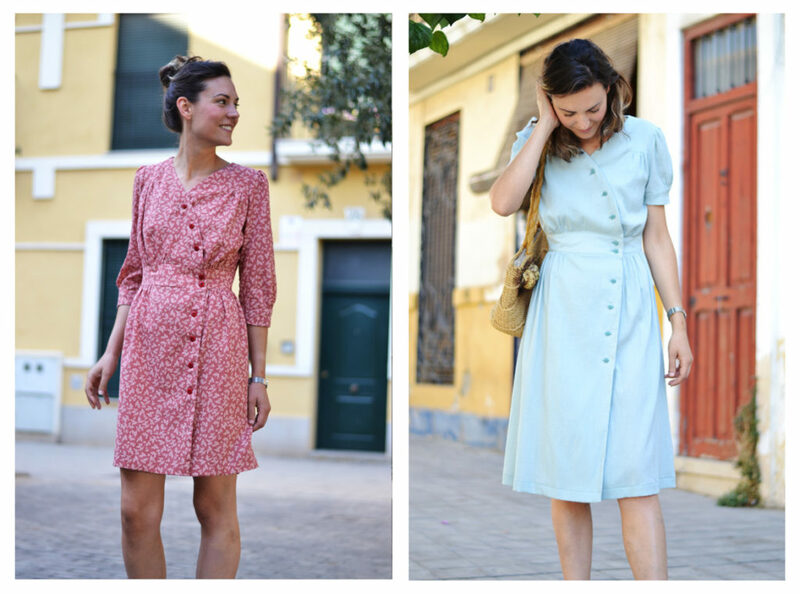 Thanks for all the pretty pictures of the Pauline Alice sewing patterns! 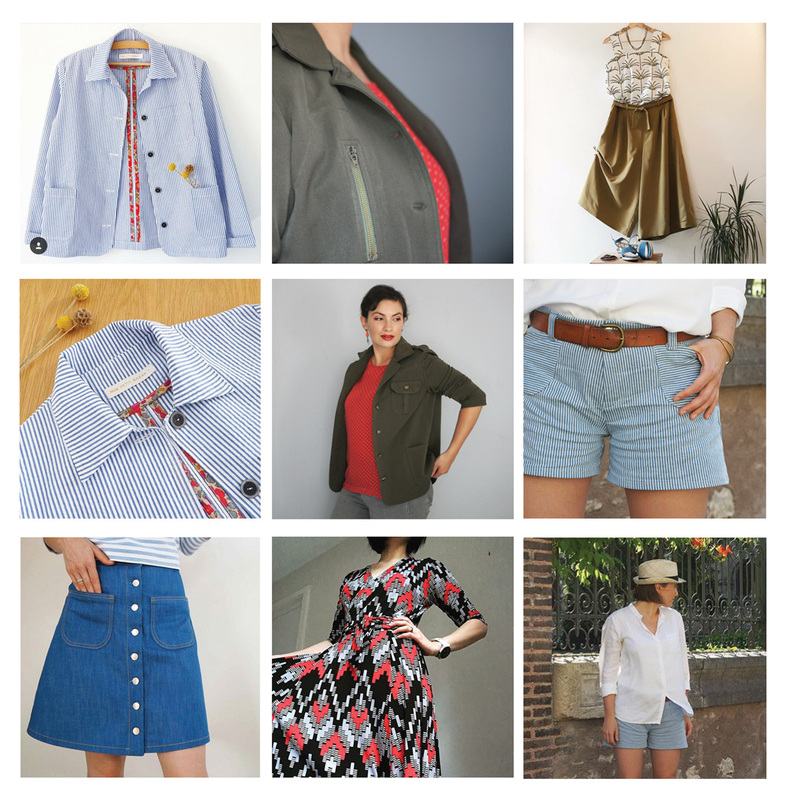 In pics, the military Tello Jacket by Anne (Un Chas Un Chas) and the Tello Jacket made in a beautiful striped seersucker by Mon Petit Bazar. The Rosari skirt by Lauren, the Botanic trousers posted by Tissustory, the grafic version of the Aldaia Dress made by rou2_an1_made and a Port short realized by Perrine ( Auguste et Septembre). You can share your sewing projects with the hashtag #paulinealicepatterns on social media or on the blog paulinealice and you. 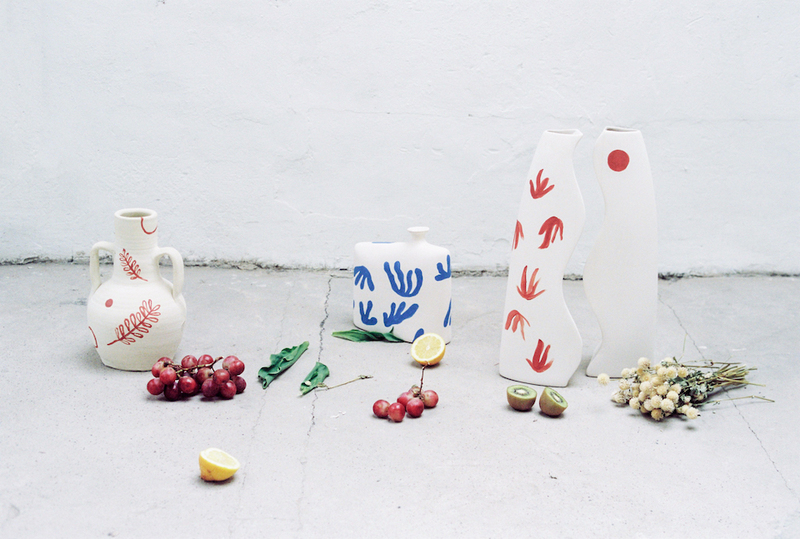 We are in love with the handmade ceramics of Cocó Fernandez. This young artist is inspired by nature and botanic and she traces lines and forms on these little objects in the way of Henri Matisse. You can find her artwork on her website. 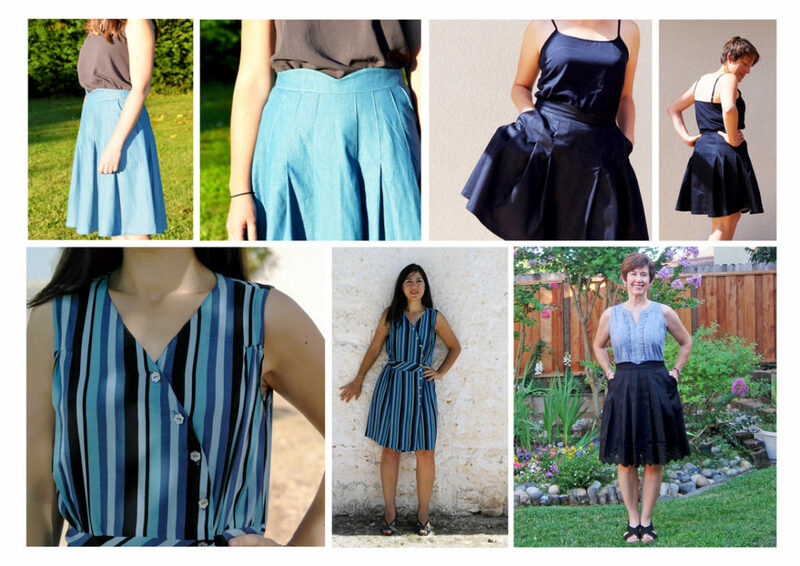 Lauren, the owner of Birmingham-based haberdashery Guthrie & Ghani and finalist of the first “Great British sewing bee”, has made an amazing video with useful tips for the Rosari skirt pattern. I thought it would be a great idea to share it here as it can definitely be really useful.